This week we welcome Benjamin Sklar to NCN. 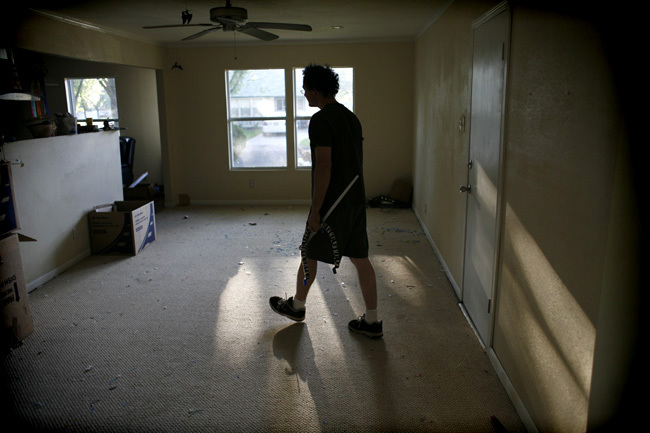 A freelance photographer based in Austin, Texas, Ben’s portfolio includes highly regarded coverage of Hurricane Katrina, a Time cover, and regular work for The New York Times, Getty Images, and the Austin American Statesman, as well as his blog. Amidst all the fears expressed in the last several weeks about losing money, homes, and the American Way of Life, it might seem astonishing to learn that some people are voluntarily deciding to live in radical simplicity–and not near the end of life but while raising young children. Aimee and Jeff Harris are one such couple. This photo essay is a continuation of a slide show that recently was featured at the New York Times. 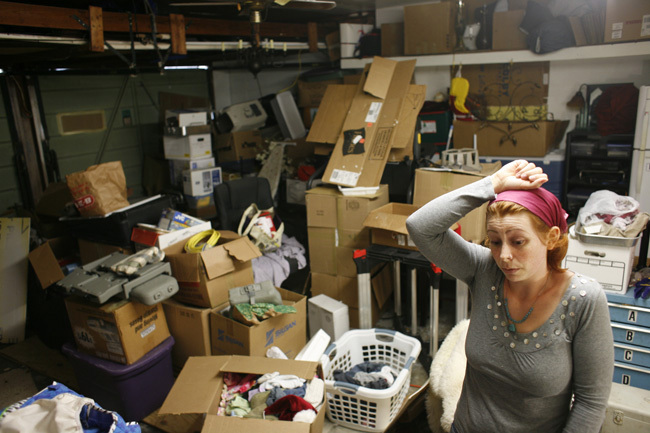 Titled “Voluntary Simplicity,” the Times chronicled the Harris’s preparations to discard most of their possessions in search of a low-impact, sustainable lifestyle. 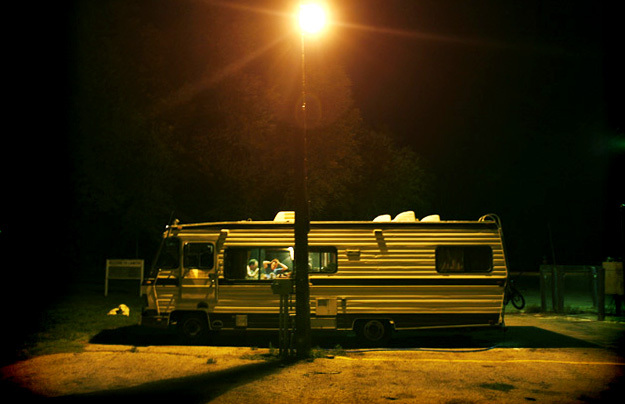 The photographs below pick up the story as they make the transition from their single family home to life in a RV. As Ben’s photographs make clear, no one should assume that this quest is going to be easy. Jeff and Aimee Harris plan on moving on from their stable lifestyle and careers to pack up their children Quinn, 5 and a half, and Nichola, 1 and a half, to move to a simple life in Vermont. The family will donate all of their goods, even trade their wedding rings for what they see fit. Jeff and Aimee celebrate after finding their new home. Dinner with the Harris family in the RV in West Texas. Aimee Harris reading to Quinn and Nichola before bed in the RV. 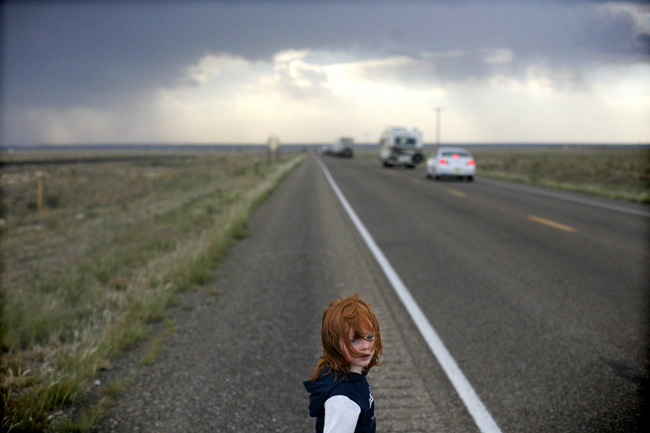 Quinn Harris on the road with his family during traffic in New Mexico. ← Previous PostArts Forum: "Torture and Representation"
Thanks for the note about the bad link, which I’ve fixed. 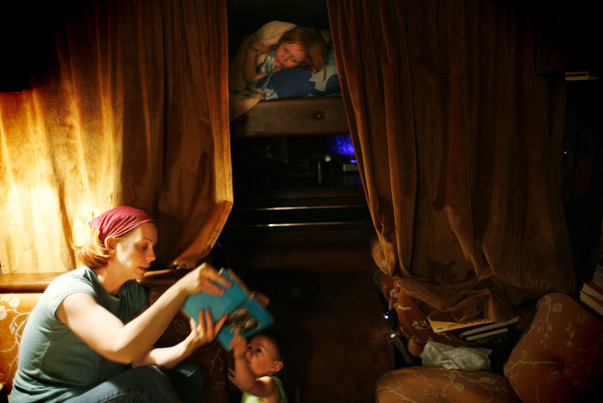 i just love bens photos of my family, especially the one of my sister reading to her kids in the RV. precious, wish i had copies!